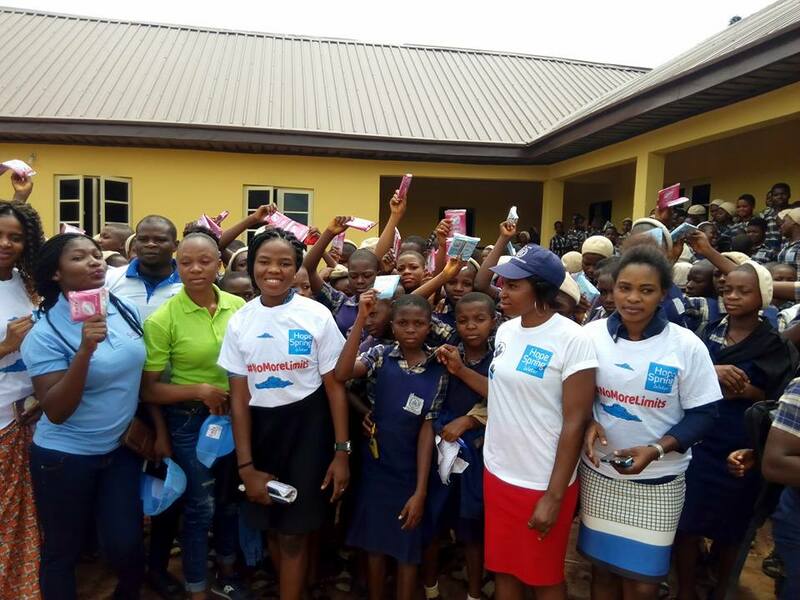 In partnership with Sankin Nigeria Limited, manufacturers of Lady Care Sanitary Pads, Hope Spring Water Charity Foundation have organized several menstrual hygiene management (MHM) workshops in Nigerian schools. 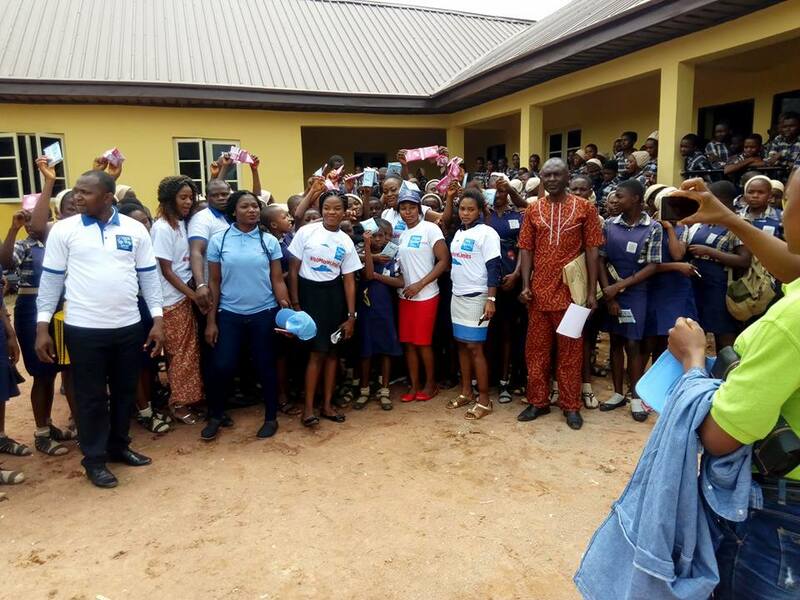 Over one thousand (1000) packs of sanitary pads were shared to the participants including the students and teachers of the school. 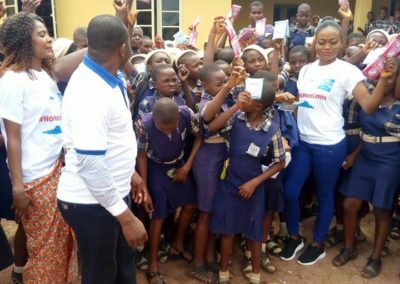 In partnership with Sankin Nigeria Limited, manufacturers of Lady Care Sanitary Pads, Hope Spring Water Charity Foundation have organized several menstrual hygiene management (MHM) workshops in Nigerian schools. 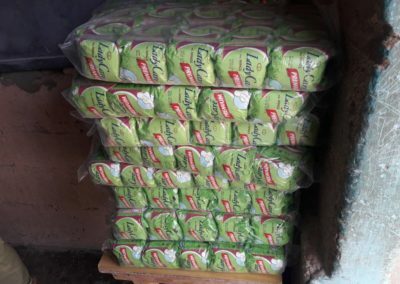 Over one thousand (1000) packs of sanitary pads were shared to the participants including the students and teachers of the school. 1 out of 10 African girls miss school during their menstrual period and eventually drop out of school. In Nigeria, a sanitary pad cost an average of $1.3 per pack whereas most of the families live below the poverty threshold of $1.2 per day. 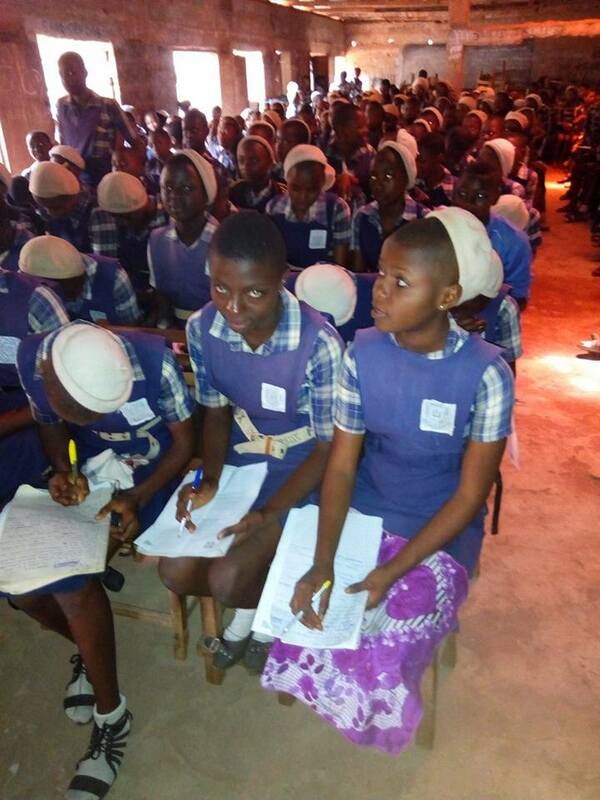 The Pad-A-Girl Initiative program is designed to empower young girls and women against health challenges as a result of their natural monthly cycle. 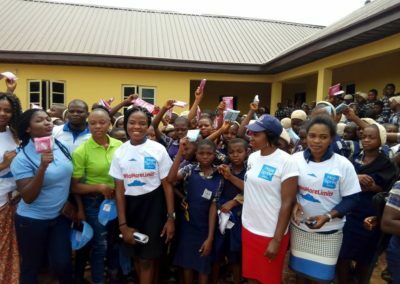 It is focused on educating young girls and women on the importance of menstrual hygiene management, so as to end deep-rooted taboos, myths and misinformation on menstruation in Nigeria. Several workshops have been held in different locations in Nigeria, from North to South and West Nigeria. 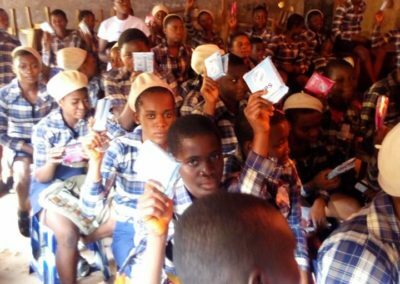 The first phase of the project was hosted in 2017, in 3 secondary schools and Ifako Community General Hospital in Lagos state, Nigeria and about 1000 pads were distributed. About 1500 women and girls participated in the first phase of the project. The second phase of the project took place in Kano with about 200 participants from Fatimah International Secondary School, Tudun wada, Kano State. 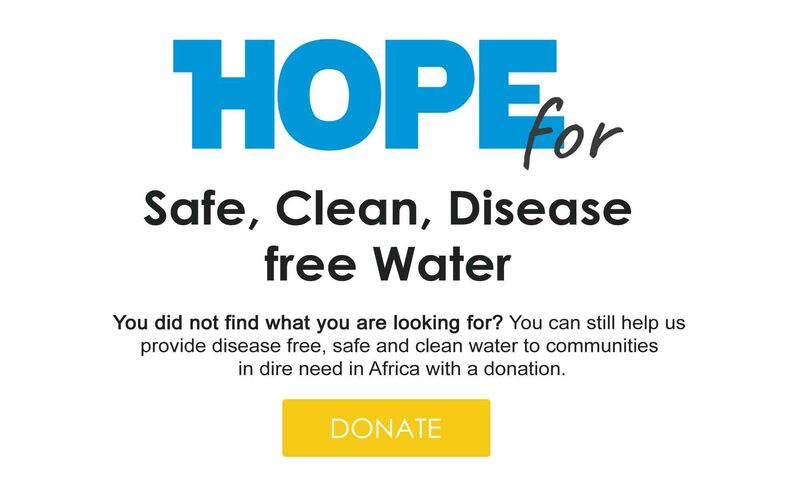 Building on the success of the event in South-west and Northern Nigeria, Hope Spring Water took the Initiative to South East Nigeria. 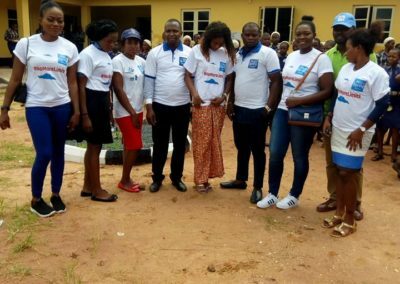 The Initiative was held for the first time in South East Nigeria in Enugu State and it was hosted by Community Secondary School Okpu Orba, in Udenu Local Government Area of Enugu State on 25th May, 2018. 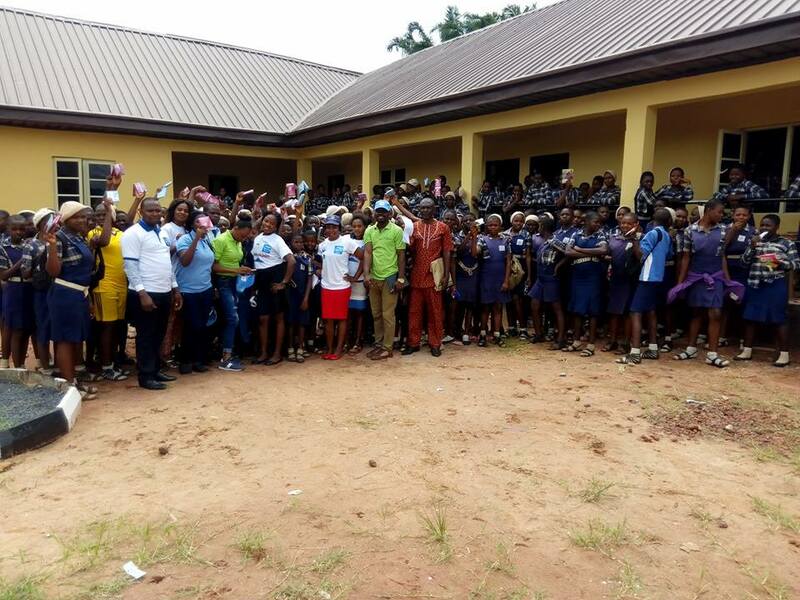 The workshop was remarkable because it highlighted the World Menstrual Hygiene Day, which is marked every May 25th globally. 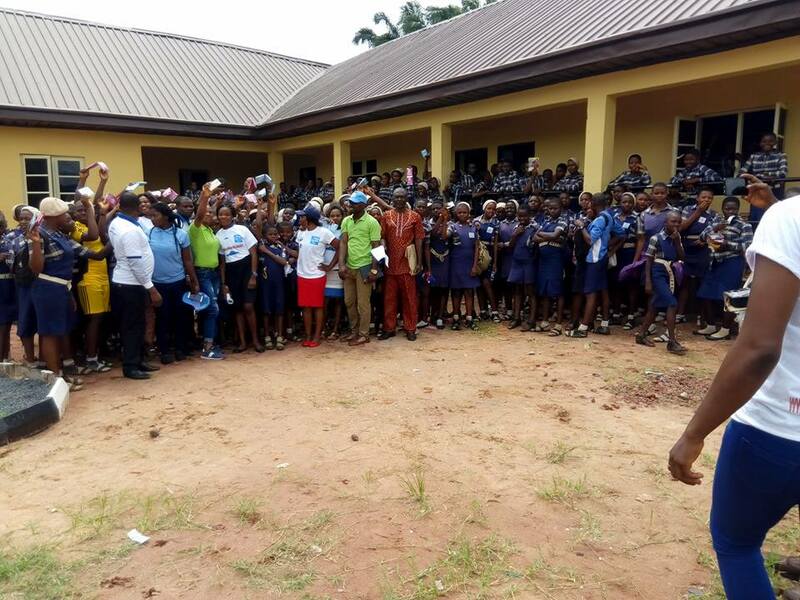 The program started at about 11.00am and ended at 1.00pm with about six hundred and thirty two (632) female students and forty four (44) teachers including the Principal who was represented by the vice principal, Barr. Ugwoke. 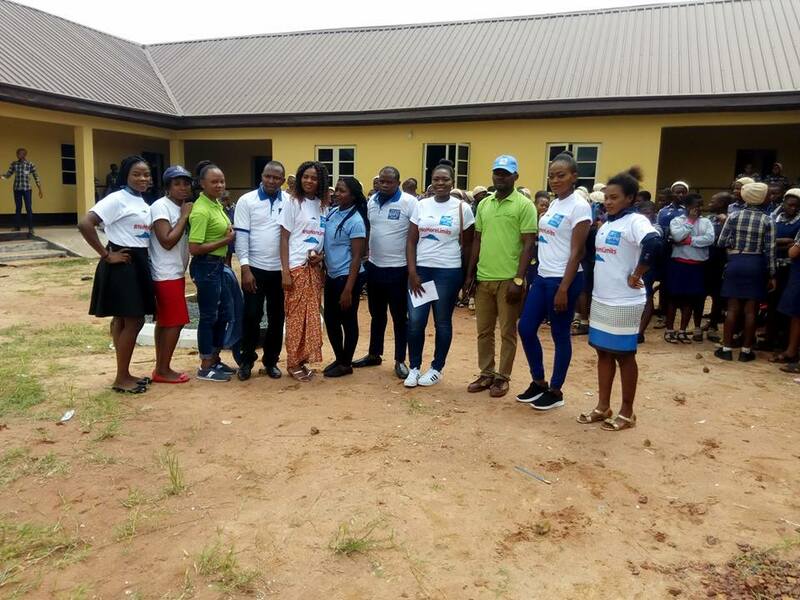 The workshop was sponsored by Sofy Nigeria and it featured three facilitators from Hope Spring Volunteers and two representatives of Sofy Nigeria – Manufacturers of Sofy Pads. 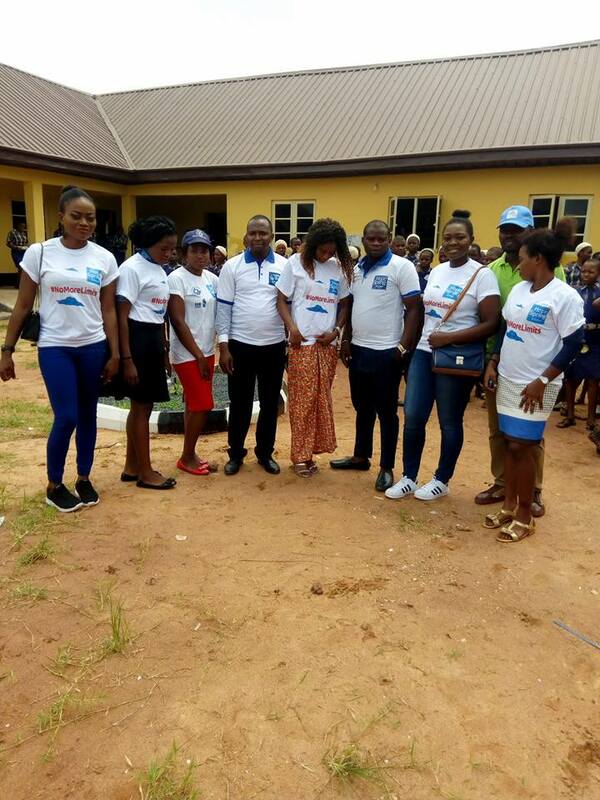 The workshop was kicked-off by the lead volunteer (Emma Ezeh) with introduction of Hope Spring volunteers present, brief overview of Hope Spring projects and programs in Nigeria with emphasis on her programs in Enugu State, and then the day’s program – “Pad-a-girl initiative. Other speakers centered on menstrual hygiene, menstrual hygiene management tips, how to safely dispose sanitary pads after use, and the importance of water and toilet in achieving a good menstrual hygiene in schools. 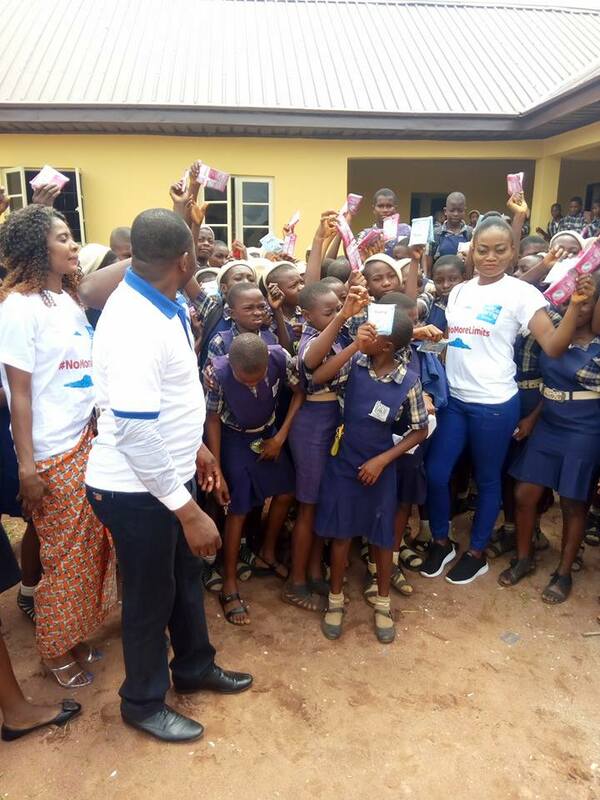 Over one thousand (1000) packs of sanitary pads were shared to the participants including the students and teachers of the school. 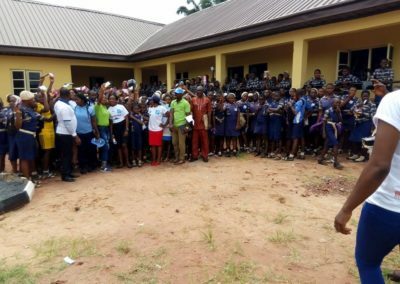 The participants were excited and the vice principal on behalf of the school management thanked Hope Spring Water for the opportunity given to them to host such unique program. In his own words: “we are privileged to have you in our midst today, we have benefited immensely, and we are truly grateful, thank you very much”. The student also appreciated Hope Spring Water on the empowerment workshop. 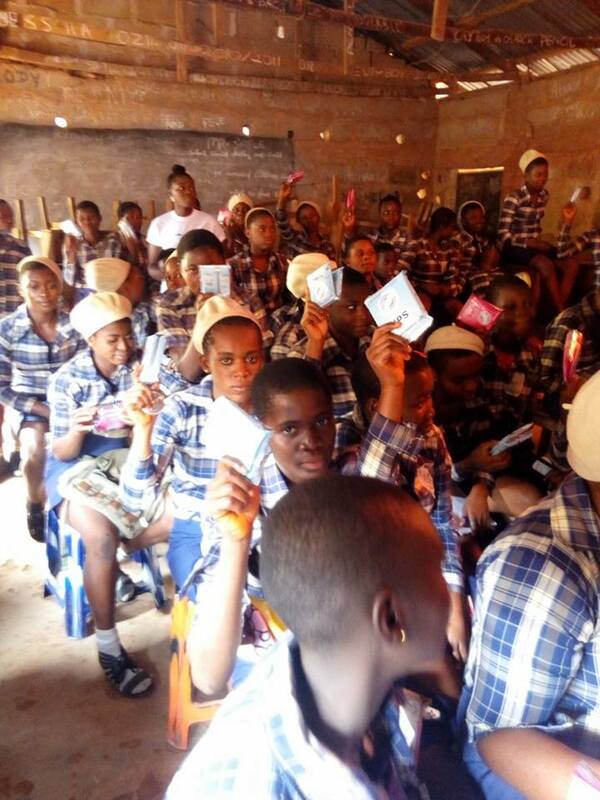 The early teenage girls who are yet to start menstruating were equipped with the information they need to be prepared for their first menstruation day. One of the teachers confessed that she never knew the right way to use sanitary pad until the demonstration was made by the speaker. Ishiwu Onyinyechi – Student, University of Nigeria, Nsukka.